Every long haired person’s nightmare: have a wad of gum stuck to your hair. How many of us had to go through the painful and endless clean-up to solve this “sticky” situation? How many have had to even go through the last-resort cutting of the hair? Insert background music of a horror movie. In reality it’s not just the person that has the gum stuck to their hair that suffers, also the one that has the task of saving the life of the victim is under a lot of stress. And as messy and nasty it is, it still happens sometimes, and it’s a good idea to know what to do before losing it and facing the scissors. Before knowing what to do, it’s good to know what not to do. The first and most important thing is to not try and pull the gum out with your fingers. This will make matters worse and you’ll end up spreading it even more. 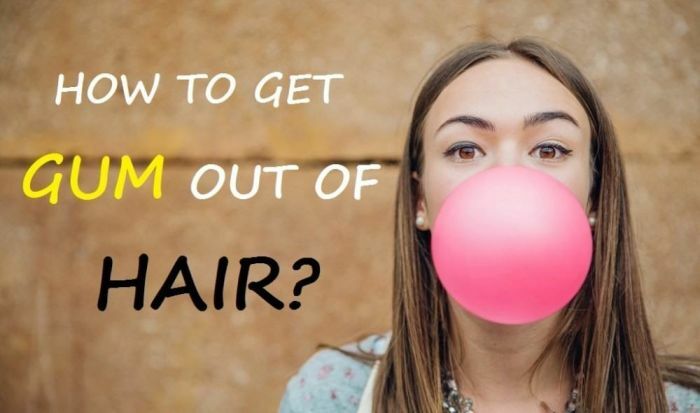 If you get gum on your hair, you need to try and isolate it from the rest of it, to avoid ending with an even bigger clump of gum-hair disaster. One way of doing this is by using aluminum foil. It’s easy to fold and put it in any shape you want, and it won’t stick to the gum and make an even bigger problem out of it. Once the rest of your hair is safe from the offending wad, you can proceed and try one of the methods we suggest. 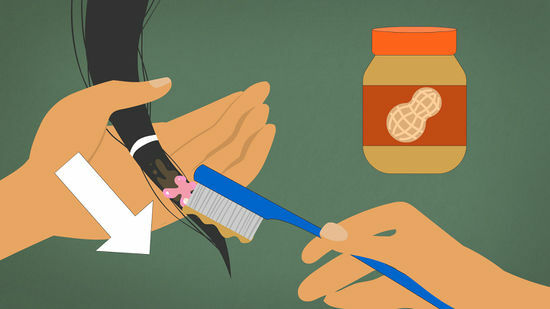 Peanut butter will make the gum stiff, so you should scoop a generous amount and work it into the gum and hair that’s stuck to it, making sure that it’s completely coated in it. Wait a few minutes and when you see that the gum has hardened a bit so that it’s less sticky. Carefully remove the gum from the hair; you can try to brush it out with a comb or use your fingers. You can try to stiffen the gum with ice, it can even be almost frozen and it will break. 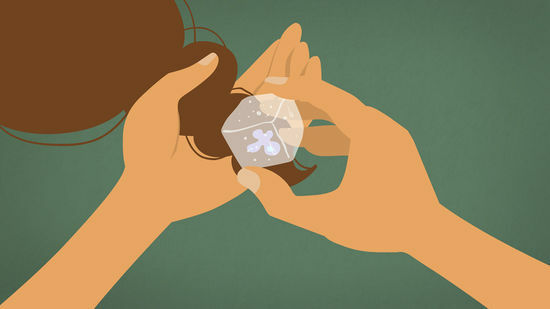 Take an ice cube and rub it on the gum for several minutes until it is hard, about 10 or 15 minutes. Once the gum breaks, then it should be easy to get rid of it. The American Academy of Dermatology recons it is very useful for gum in places like eyebrows or eyelashes. 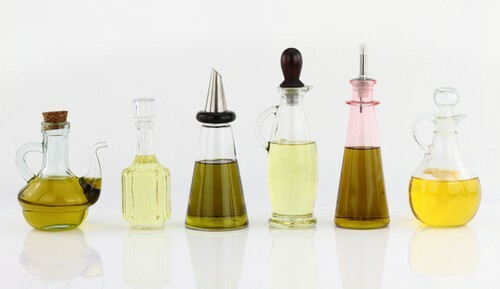 Any oil will work just fine. It works by neutralizing the stickiness of the gum. Apply the oil to the area and also on your fingers, work it into the gum and hair until it’s coated completely. Wait for a few minutes and then start to gently work the gum out of the hair, either with your fingers or a comb. 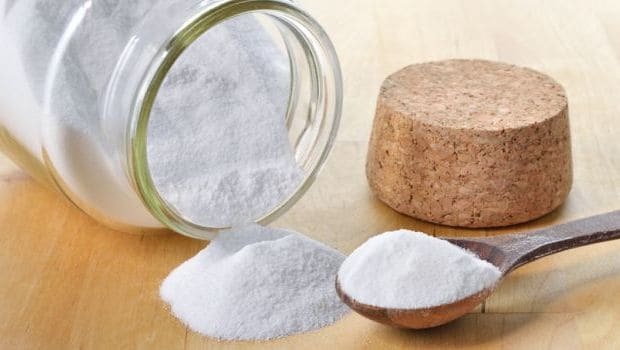 Make a paste in a bowl with baking soda and some water, it shouldn’t be very runny, you should be able to pick it up with your fingers and work it into the gum and hair. The baking soda will stiffen the gum and make it easier to remove. These are just a few methods for removing gum from hair, there are many others you can try too, but these almost never fail.